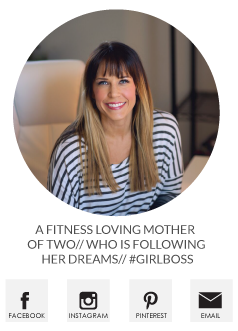 I always like to share when I find cute workout gear, I keep professing my love of Fabletics, but I'm just blown away every month by the awesomeness of their clothing. 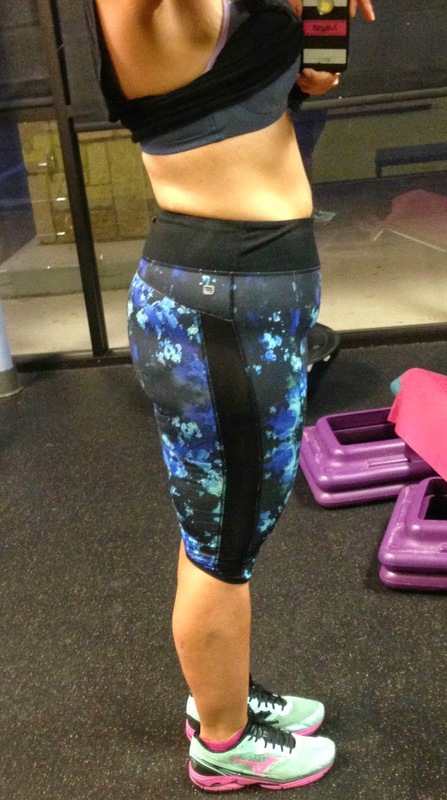 I'm super picky about workout pants because I'm pear shaped and I like something smoothing with thicker fabric, I was worried about the print on these, but I put them on, perfect fit! I also came across these Raydiant Apparel fitness headbands and they are super cute and kept the sweat out of my eyes really well. The fabric is more of a cotton and less of a lycra which I kinda liked - no slipping. 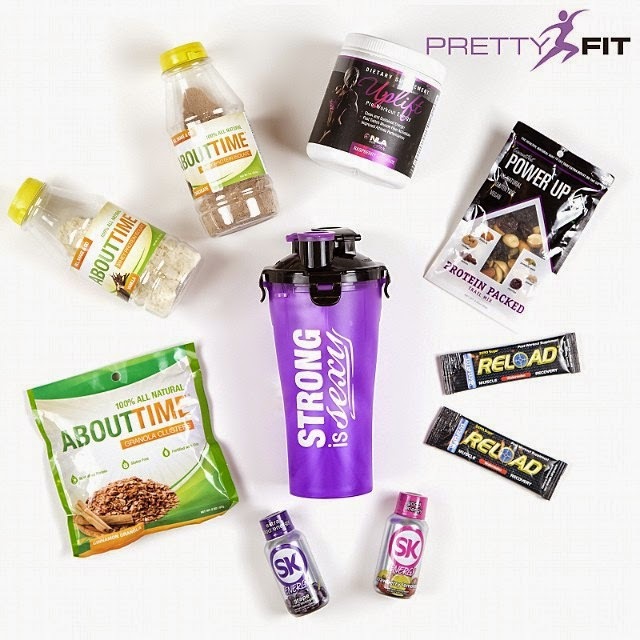 Pretty Fit has introduced me to so many new and wonderful products, like Protein Bakery, UPlift- pre-workout awesomeness,Chike High Protein Coffee , just to name a few. Above is the picture for the Prepared box coming next week - can't wait!! They are offering new members the boxes for 50 and use the coupon code MEG10 when you check out - member ship is free, shipping is free, and you can cancel at any time. I honestly love this the most out of all my subscription boxes! OK - y'all ready to workout? My SkinnyMeg Challenge group is doing a 4 week Squat Challenge and I thought I'd share it here for anyone who wants in on it! Gotta get a 'before' shot! I found this challenge here, but copied it into a picture you can save to your phone for quick access a the gym. Some of the moves call for body weight - I personally am adding some type of weight to each move and increasing as it calls for, just be sure you track your weights. Let's not forget the upper body though - add this quick routine in too! It's meant to be heavy with lower reps - I did 6 - 8 reps with good form so however heavy that is for you. 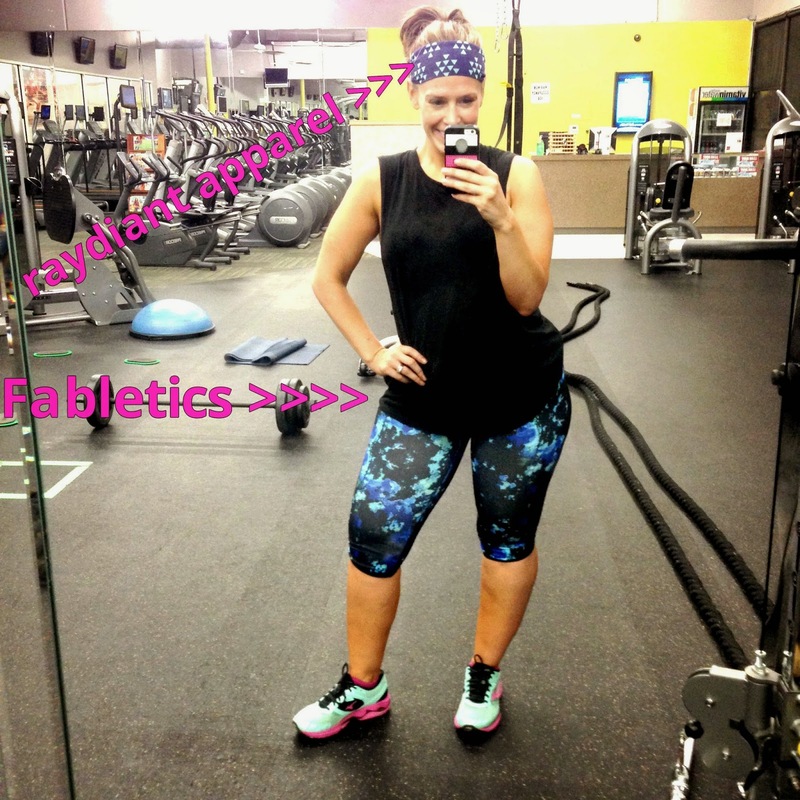 What size pants do you wear (Fabletics)? I have a similar shape and am thinking of ordering a 10-12. Thanks! Dang girl!! you are looking AMAZING! I was just looking at these same pants on fabletics and thinking of ordering. Question for you (I have looked on their website and can't find it) if you join VIP do they automatically charge your account each month? Can you obt out for the month? not quite sure how it works. Signed up for I'm pretty fit last month per your suggestion and LOVE it!! Can't wait for my container of uplift this month, that was my favorite product in the pack. You are awesome, love following you!! yes the are auto, but you can skip months really easily by just logging in. LOVE leg/booty exercises but I'm surprised to not see any deadlifts or and big hammy moves?! Want to save this and start it next month.